The late Father Daniel Farag was born on February 19, 1936. He was an active servant at Saint Mark’s in Los Angeles, Saint Mark’s in Houston, and Saint Antony’s in Hayward, California. 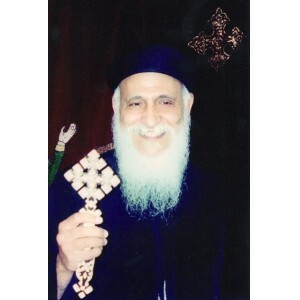 His Holiness Pope Shenouda ordained him a presbyter on November 11, 1990. Ten years later, on January 16, 2000, His Grace Bishop Serapion elevated him to the rank of hegumen. On August 20, 2003, minutes after finishing the celebration of the Divine Liturgy, Father Daniel departed in the Lord. May the Lord repose his soul in eternal joy.